Going to the gym more often has definitely been on many people’s 2018 New Year’s resolution. No matter you have started going or not, this gym essentials list is great to keep. 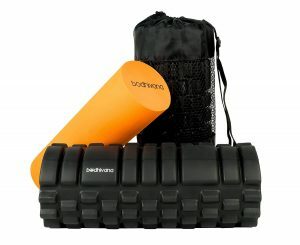 Appropriate gym goodies not only helps to make your fitness plan go smoother and faster but also protects your body when under intense training. Remember, you deserve the body you are fighting for, and you will thank yourself for working this hard when you look back. Though you can follow the most popular YouTube stretch video, you won’t be able to release the tension of all parts of the body if stretching is the only thing you do. This perfect 2-in-1 (comes in with the basic and advanced roller) roller set helps to roll out your tension, and you will know how effective they are even on the first try. Though we are talking about gym essentials, we also have something for outdoor runners. I believe the most annoying thing about running outside is that there is no place to store personal items. Therefore, we have found a cute, lightweight running waist bag for people who prefer natural settings. There is just enough space to carry home keys, a few bucks, cellphone, and the water bottle. It is easy to get our knees injured when working out in the gym. Therefore, some kind of protection beforehand is never a bad idea. Knee braces are good for adding support and releasing tensions when comes to leg workouts. You should definitely consider getting a pair if you plan to build up your lower body muscles. Protein shakes are a must for muscle builders, and we all know that it is hard to wash away the nasty leftover smells if you are using a plastic bottle. It is the time to upgrade to a stainless steel shaker bottle which is odor resistant and hard to break. Interested in more gym products? Check out our Best Affordable Wireless Headphones post!